If you have one of the 12V149 Natural Detroit Diesel engines, then you have an engine that naturally aspirates. These types of engines work via an internal combustion system that utilizes a vacuum and atmospheric pressure to make the engine work. In order for the internal combustion system to provide ideal results, all the parts of the engine must be in proper working order. 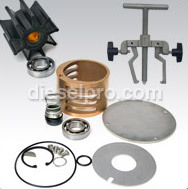 Here at Diesel Pro Power, we have all the Detroit Diesel replacement parts that you could need for your engine. All our products are specifically designed for their respective engines, including for the 12V149 Natural. 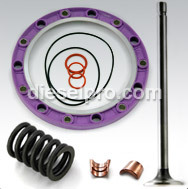 It is important to make sure that you install or repair compatible parts in your diesel engine. Otherwise, you could end up majorly damaging your engine and will need to spend precious time and money on repairs. The best course of action to take with diesel engines is to keep them properly serviced and maintained to avoid any big issues. If you keep them properly serviced and maintained, then you might be able to address any minor issues before they create serious hazards. 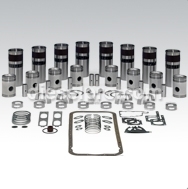 Here at Diesel Pro Power, we want to be your one-stop source for all your Detroit Diesel replacement parts. 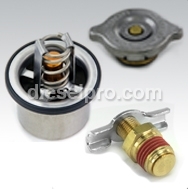 Our mission is to provide you with high quality diesel engine parts at competitive prices. We offer your fast shipping with a 24-hour guarantee. We also ship internationally so you can shop with us no matter where you are.